The Mornington Peninsula has so many different activities and areas of interest - yet they are all located within an easy drive of one another. One holiday is not long enough to experience it all! Enjoy a few rounds on some of Australia's finest golf courses. The Mornington Peninsula offers a vast range of golf courses. You can view the different courses here. You might like to try out Sorrento Golf Club, Eagle Ridge, Moonah Links, Safety Beach Country Club, The Dunes, The Flinders or Rosebud Country Club - but there are even more! 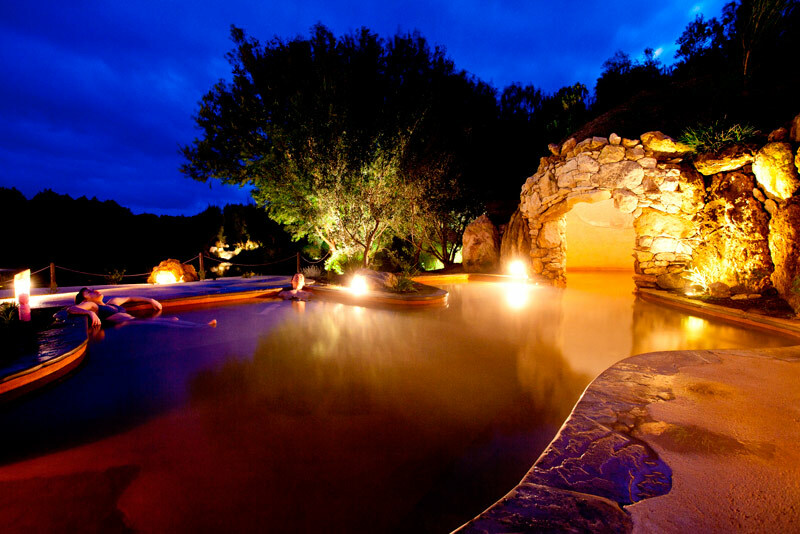 Natural hot mineral springs have been found deep underground on the Mornington Peninsula. The 50oC waters, rich in healing minerals, are now flowing to the surface and into the thermal pools at this stunning location. 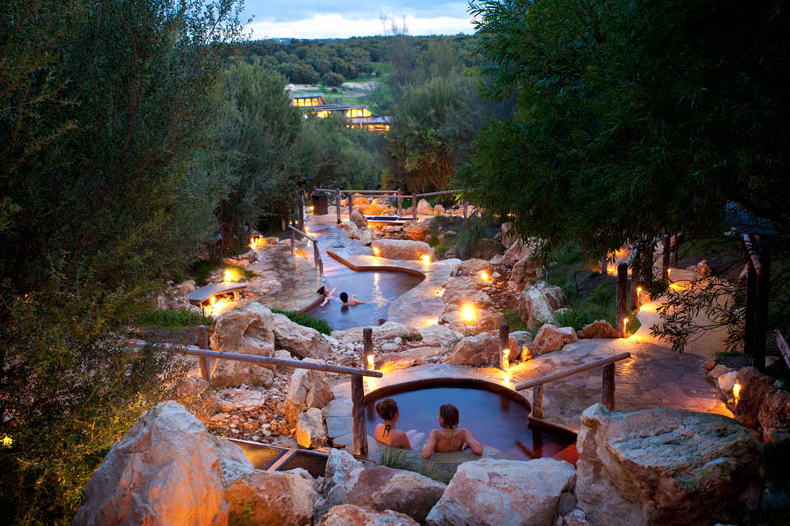 For the first time in Victoria it is possible to bathe in the naturally healing waters of mineral rich thermal pools. 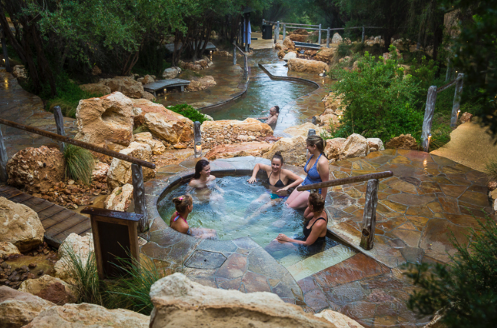 In addition to Peninsula Hot Springs, there are many other spas across the Mornington Peninsula, which you can view here. Perhaps you would prefer to experience the pleasure of a massage in the comfort of your own accommodation. We recommend Ripple Massage and Beauty - the day spa that comes to you. 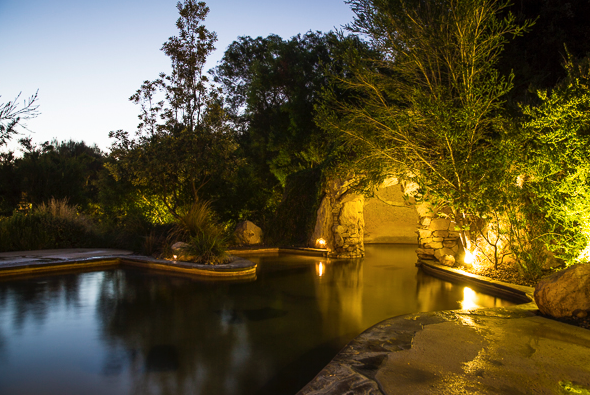 Indulge with a relaxing massage or beauty package in the privacy of your accommodation. Perfect for couples wanting to escape, girls' weekends or group bookings. Be sure to visit Red Hill Market or Mornington Market. There are a range of other markets on every weekend, all year round. If antiques are more your thing, you won't be disappointed. Head towards Tyabb and you will find enough antique treasures to keep you occupied. For the history buffs, you might like to visit McCrae Homestead, Coolart Homestead, Heronswood or Historic Sorrento. Recommended attractions for the whole family are the Enchanted Maze, Ashcombe Maze and Boneo Maze. At the Enchanted Maze, you can now experience Tree Surfing and the exciting Tube Slide. Wineries abound on the Mornington Peninsula. From Tuck's Ridge Vineyard (pictured), to popular Stillwater at Crittenden, our accommodation provides easy access for winery visits. To discover the famous wineries and fresh farm produce of this region, we recommend you embark on a wine, food and farmgate trail. We recommend Wine Compass, tours to remember. Wine Compass provides private and public wine tours of the Mornington Peninsula region that are tailored to your individual needs. Pick up can be arranged from any of our properties. Also recommended is a visit to 2 Macs Farms for cooking classes or a visit to the Farm Gate for free range eggs, raw honey or chutneys and relishes and if you like strawberries, pop into Sunnyridge Strawberry farm. The Mornington Peninsula's natural beauty will captivate you. Try to experience the Cape Schanck Lighthouse, the Mornington Peninsula National Parks, Arthurs Seat and Seawinds garden, the McCrae Lighthouse and Point Nepean. If getting wet or being by the water is your idea of a great getaway, you will be spoilt for choice. Experience swimming with the dolphins with either Polperro or Moonraker. Dive Victoria at Portsea organises scuba diving and snorkelling adventures. Fishing charters and boat hire opportunities are scattered along the peninsula, with charters leaving from a variety of points including Sorrento, Mornington and Rosebud. There are main popular sailing clubs and the peninsula hosts international sailing regattas. There is Safety Beach Sailing Club, McCrae Yacht Club and Blairgowrie yacht club, as well as others. The newly completed Peninsula and Aquatic Recreation Centre (PARC) has been built at Frankston. You will love the beachy theme at the Rosebud Cinema. Experience yesteryear at the Dromana Drive-in, one of only 3 accessible drive-inns to greater Melbourne. There are plenty of horseriding opportunities across the peninsula. Gunnamatta Trail Rides offer a variety of coastal or bushland rides. Tree-surfing will get the adrenaline pumping at the Enchanted Maze. Mini-golf, bowling and arcade games are offered at Top Fun in Rosebud.